Have you ever told yourself that you don’t have enough time, money, space, support, skills or talent to have the kind of creative life you dream of? If so then this course is for you. 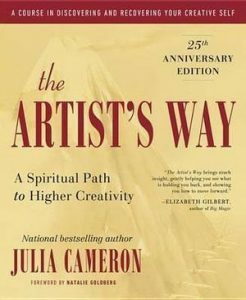 THE ARTIST’S WAY is a 7 week journey into creative recovery and discovery designed by Hannah Bertram with The Artist’s Way, a book by Julia Cameron, as one of the main resources. This course will help you overcome limiting beliefs that are holding you back and locate your true desires for the creative life you want to lead. Each week is composed of readings, discussions and practical exercises to nurture, uncover and strengthen the artist in you. The step-by-step process will help you address issues that are blocking you and replace them with self confidence and productivity. 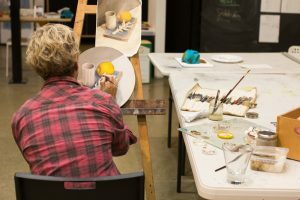 This class is suitable for people at any stage of their creative journey from absolute beginners to established artists, as the content is designed to meet you wherever you are in life right now. These sessions are designed to be a place of safety, exploration, healing, play, accountability and motivation. Hannah Bertram completed a PhD at VCA, University of Melbourne in 2018, and a Bachelor of Fine Art in 2003 and a Masters of Fine Art in 2005 at RMIT. The primary medium for her temporary decorative installations is dust, but her practice also includes site-responsive installations, drawing, video, performance and spoken word. During her fifteen years as a professional visual artist, her works have been exhibited throughout Australia and Internationally. Her ephemeral installations have been displayed in ARI’s, commercial galleries, university galleries, public space, and contemporary art museums including most her site-specific work ‘Phoenix in Ruins’ at Palais de Tokyo, Paris. She has been awarded several prizes and in 2015 was shortlisted for the Prudential Eye Award for Best Emerging Installation Artists in Asia. Bertram has also participated in many artist-in-residencies programs, such as the Australia Council, Skills and Art Development – Green St studio New York. Hannah Bertram has completed The Artist’s Way twice. At age 24 it was the book that transformed her life and lead to a sustained practice over the past 20 years. She continues to refer to many of the concepts and activities presented in the book and has built a volume of companion resources to accompany the text.